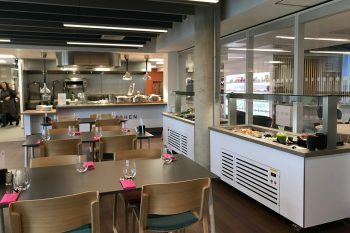 A flexible kitchen, servery and independent salad bars able to provide a broad range of delegates with healthy, restaurant-quality meals. 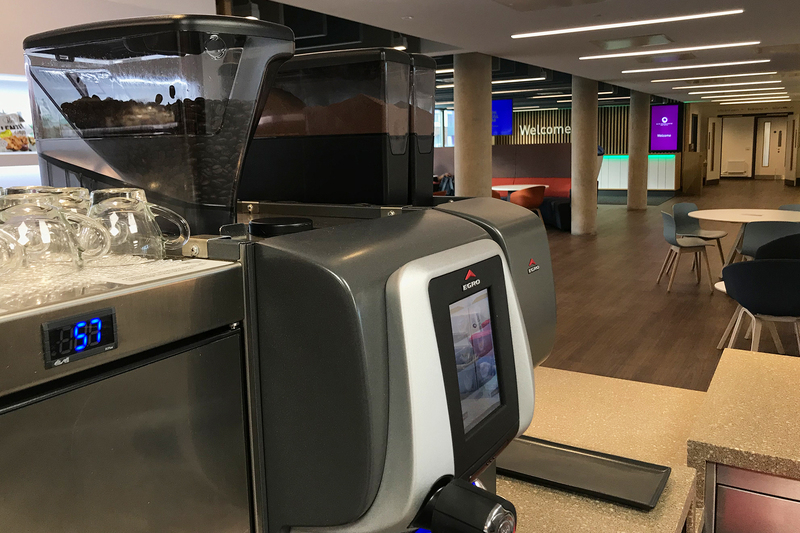 Every project we undertake for Loughborough University varies greatly from the last and this handover is a particular highlight. 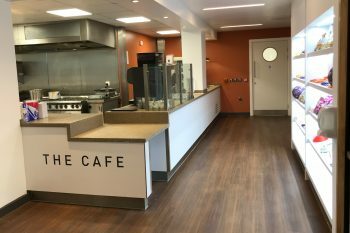 Having worked on numerous halls of residence and the London campus' Student Union, we were extremely proud to have offered our services: both in project consultancy and as principal contractor concerning the hospitality catering design & installation. 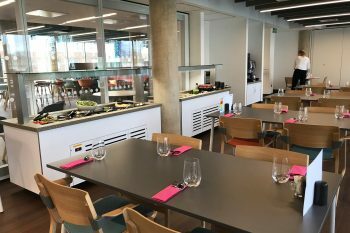 As an on-site hotel that would provide accommodation to thousands of visiting delegates per year, the project was a forward-thinking, ambitious venture from the university. 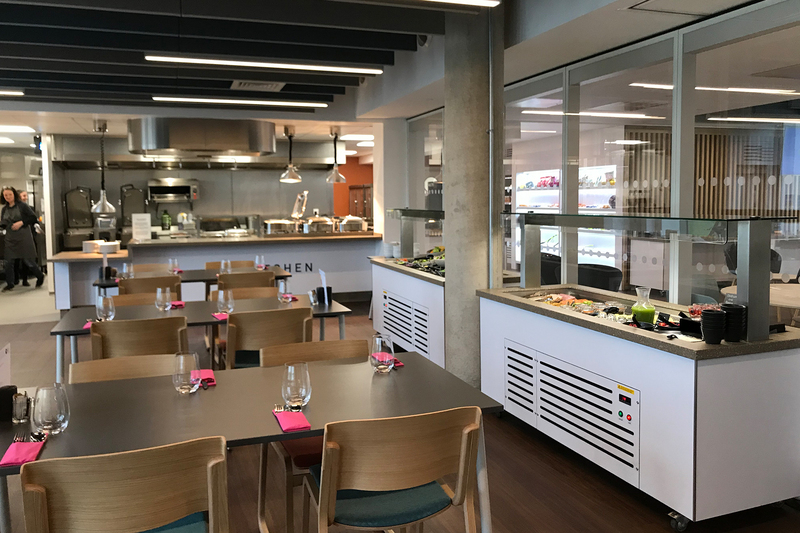 Equally ambitious was the catering concept: a multi-functional and flexible kitchen that's able to offer healthy and nutritious meals to any collection of visitors, ranging from education conference visitors to teams of professional athletes staying on the grounds for a training camp. 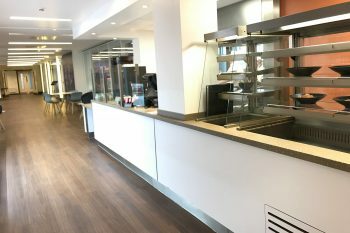 At first, we were brought onto this new-build scheme as a consultant. 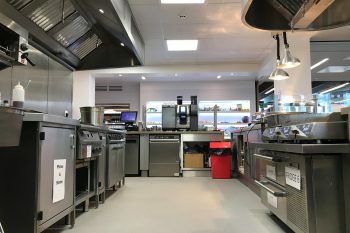 Long-term Account Manager to Loughborough Uni (Andy Brown) collaborated with the numerous other sub-contractors to ensure all relevant designs, services and costings were in place to deliver the formidable hospitality concept, whilst assisting the main contractor in putting the project out to tender. 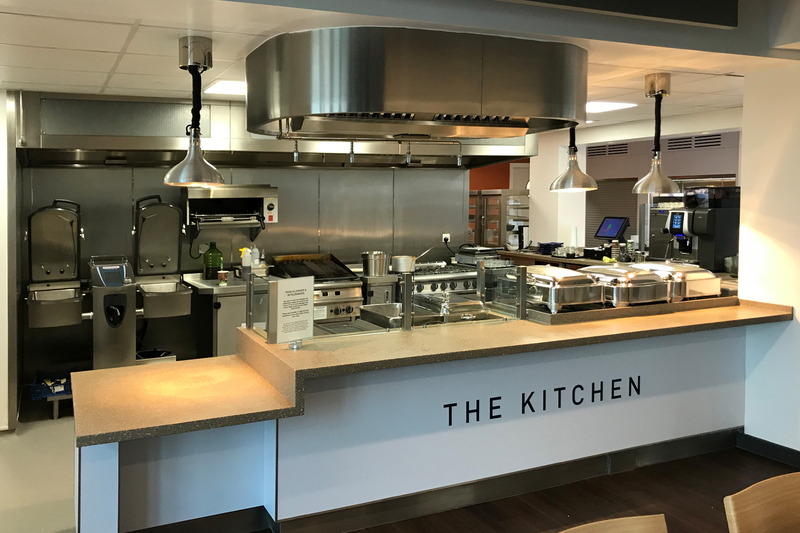 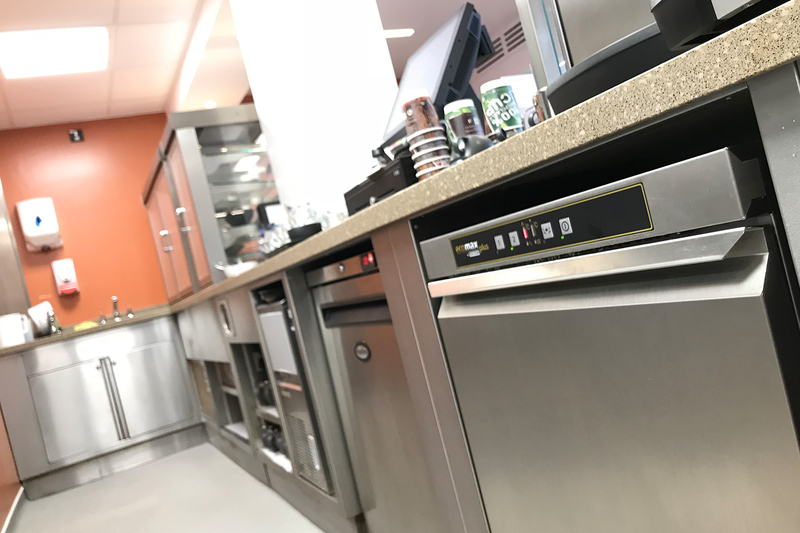 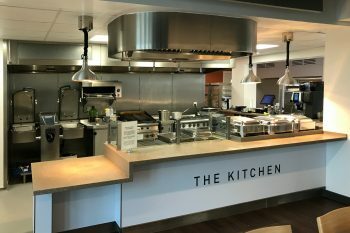 Upon our appointment as the principal contractor for the design and installation of the commercial catering areas, we were able to further develop the design of the commercial kitchen and servery. 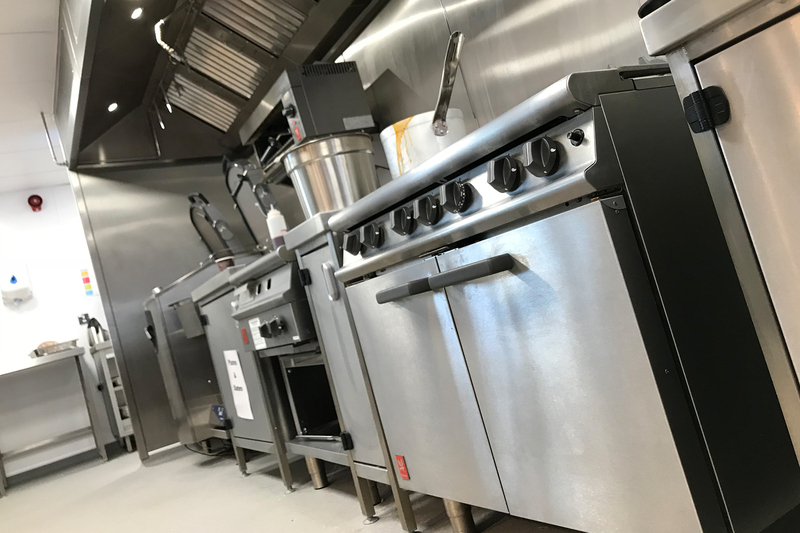 The kitchen's multi-functional specification (combined with the variety of visitors expected) required great attention to detail during the design process. We called upon years of experience in hospitality catering design to make efficient use of the space available, whilst making sure all the areas were disability-friendly, as per all relevant disability legislation and specialist requests from the client. 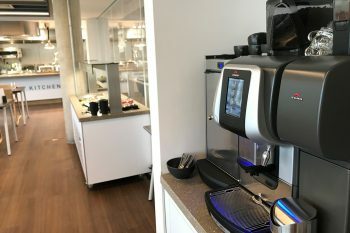 Due to the kitchen/cafe's varied use throughout the day, the equipment's flexibility was placed as top-priority. 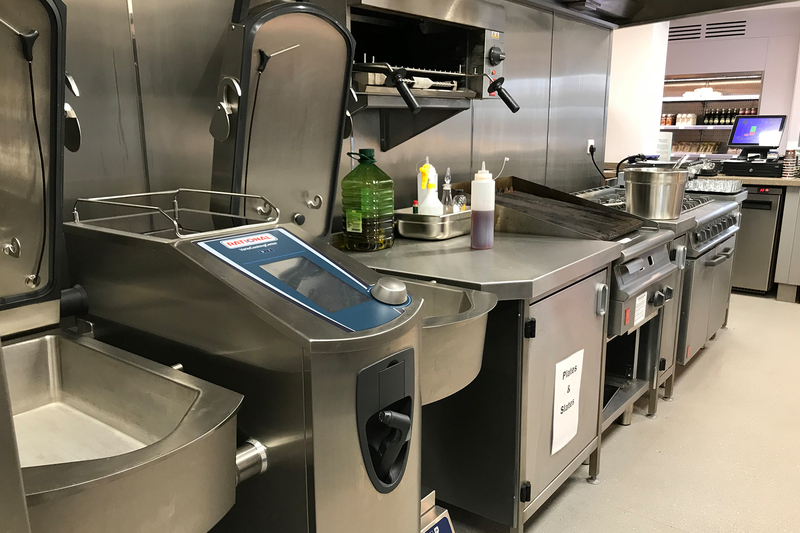 We worked very closely with premium suppliers to supply a range of ensure the client's specifications were met and supplying comprehensive training to help the cooks use the equipment to its best potential. Handing over in December 2018, the Elite Athletes Centre & Hotel is an impressive venue and one that we're proud to have contributed to.